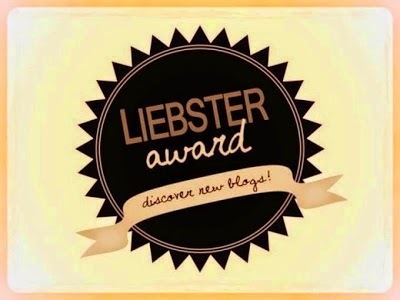 Ever since I've started reading blogs I've occasionally noticed this thing called a Liebster award. I mentally filed it under the category "that's pretty cool" and then forgot all about it. Imagine my surprise when I received a message from Scott of scottswargaming to say he had nominated me. Incidently, if you aren't aware of his blog then stop reading this drivel and go back through his archives. His terrain in particular is some of the most inspiring I've seen. Anyway, the Liebster appears to be a community award for small blogs with fewer than 200 followers (thanks to the 12 of you by the way!). It works as a kind of chain letter that instead of being annoying, actually promotes small blogs. First off I have to nominate up to 11 blogs that I feel deserve the award. This is hard, as I read far more than 11 blogs according to my Newsify account and I am sure some of these will have been nominated plenty of times before. Also several of them have more than 200 followers, and Scott has already nominated the LOTR ones that I read! I have decided I can't really justify nominating blogs that haven't been active recently. The Metal Bikini Clint's site is a wealth of X Wing info and funny to read too. Definitely worth checking out. Certs Tabletop This guy is an Infinity player (a game I've been drooling over for a while), and his terrain is fantastic. Mid Table Obscurity One of the gents from York Garrison. He posts some thoughts about tournaments, and although I have little interest in 40K there is still some interesting stuff here. Hobby Before I Die A whole range of stuff on here, but it's the X Wing stuff that draws my eye. Dramatic Katastases Lots of LOTR stuff. I particularly like his use of plastic models to make heroes and elites. Damn Dice Another guy from York Garrison. More 40K stuff, great painting. Why did you start blogging? I had been inspired by the blogs of other LOTR gamers and hoped to encourage some others. After all, there aren't many of us around! If you could change one thing about the wargaming hobby, what would it be? Get rid of the blinkered view of many WH/40K players. I'd obviously like to get more playing LOTR, but there are so many great games out there. What is best in life? Spending time with the people you love - especially my wife and kids. Bizarrely I also love time on my own! Do you want to live forever? I will need to if I'm going to reduce my painting backlog! Fame or fortune? Fortune all the way. I would hate to be in the spotlight all the time. What miniatures are you most proud of having painted? It's almost always the most recent ones, but I'm very proud of my dragon and Great Beast of Gorgoroth. How do you deal with burn out? Depends what has burnt me out. I recharge my batteries ny being on my own, often at my painting desk. When I suffer painting burn out I either need to play some games or just paint some garish superheroes! Why is a raven like a writing desk? I have no idea. I'm currently rereading the Discworld novels and am imagining Qoth the raven and his insatiable desire for eyeballs. Star Wars or Star Trek? Star Wars all the way. Watching the original was such a key moment in my life and it has stayed with me forever. I tried watching Star Trek but it didn't do much for me. My son is 6 and we are watching the original trilogy at the moment. Return of the Jedi is next to watch and he is so excited. If you could only buy from one miniature company from now on, which would it be? I would be torn between GW for their Hobbit/ LOTR range and Fantasy Flight for their X Wing miniatures. I really like the way FFG interact with their players so I guess I would lean towards them. I just don't understand why GW treat their customers with such disdain. What is your favourite takeaway? Indian. For those in York I recommend the Jaipur Spice, although it has lost something after the refurb when they took out the bridge over the indoor fish pond! You're welcome, your blog is great. Thanks for the nom, nom, nomination Tom! I appreciate it!